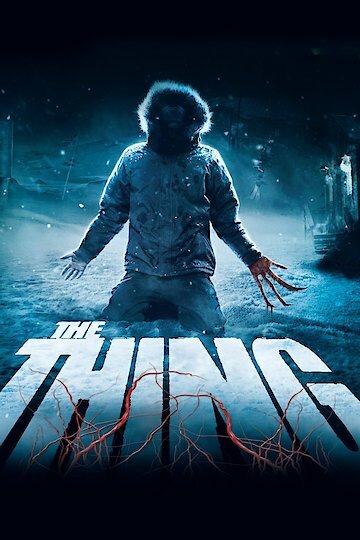 The Thing is the 2011 science fiction horror film about a team of Norwegian scientists who unearth a being buried deep beneath the Antarctica ice. The film is the prequel to John Carpenter's 1982 thriller of the same name. In 1982, a group of Norwegian scientists in Antarctica discover a space craft buried deep beneath the ice. Scientist Kate Lloyd (Mary Elizabeth Winstead) is recruited by Dr. Sandor Halvorson (Ulrich Thomsen) to assist with the dig. After flying to the remote Arctic station, Kate is astonished by Halvorson's arrogance and lack of ethics concerning the frozen alien being extracted from the ice. After thawing for several hours, the alien reawakens and escapes. Members of the team search for the alien, which has killed several of the team dogs. After team member Henrik (Jo Adrian Haavik) is killed by the alien, Kate's autopsy reveals that the alien was in the process of replicating Henrik's cells. This theory is strongly rebuffed by Dr. Halvorson. Kate discovers that the being cannot replicate non-organic matter. After a test is performed, the alien violently extracts itself from inside of the team members and goes on the attack. Helicopter pilot Sam Carter (Joel Edgerton) kills the creature with a flame thrower. Realizing that others may have been infected, Katy and Sam go to destroy the ship before the alien can attempt to leave Antarctica. Once inside the craft, Sam destroys the creature before it can consume Katy and disables the ship. Moments later, just as the duo begins to head back to the compound, Katy reveals to Sam that she knows he is also one of the creatures, citing his missing earring, which could not be replicated. She flame throws him and sits in the Snowcat. Her fate is unknown. The movie ends where the 1982 film begins, with one of the Norwegian team members chasing the infected dog, which has escaped. The legendary horror director will develop 'Tales for a Halloween Night' for the network.